The article by Karen Alter, James T. Gathii and Laurence Helfer is instructive and, notwithstanding its considerable length, very readable. I learned a lot – about the three specific ‘court backlashes’, about the institutional setting in which the three courts under review operate, and about the factors determining the success or failure of ‘court-curbing’ – and felt engaged throughout. My comments are in three parts: First, I am making a fairly simple, perhaps banal, point that is implicit in the authors’ detailed research. Second, I mention factors that I felt could be relevant in assessing the success or failures of court backlash (but that are not the focus of the article). And third, I compare the three ‘African’ backlashes studied by the authors to the one that currently dominates debates in Europe, viz the backlash against investor-State dispute settlement (ISDS). While Alter, Gathii and Helfer engage with the particularities of court design in three regional settings, their article brings home a fairly straightforward point: it shows how diverse and how complex the landscape of international courts and tribunals, in the present ‘post-proliferation’ era, has become. Of course, everyone today accepts that ICJ, ITLOS, ECtHR, etc. have been joined by ‘new courts on the block’. But I am less sure that a sufficient number of mainstream international lawyers working in the field of dispute settlement are really following through on this insight: So much of the disciplinary scholarship (and I certainly will not exclude myself here) remains focused on the ‘usual suspects’; and, with the exception of human rights, there still is precious little on the regional courts outside Europe. (Try ‘EACJ’ in the ppl.nl database – only two entries come up. And how many of EJIL: Talk!’s readers could have named the seat of the SADC Tribunal or of the ECOWAS Court in an international law pub quiz, or if Dapo Akande had taken the matter up in one of his trivia competitions?) Against that background, Alter’s, Gathii’s and Helfer’s scholarship – including but not limited to their current EJIL Article – is eye-opening because it takes the lesser-known courts seriously. And perhaps not only that: the present article, as well as Alter’s and Helfer’s earlier work on the Andean Tribunal, may suggest that in order to study the more important developments relating to international courts today we should be looking, not to Strasbourg, Geneva or The Hague, but to Abuja, Arusha and Quito. “successful governments sanctioning efforts depend on two factors – the decision by community secretariats to follow or circumvent procedures that require consultations with non-state actors and the mobilization strategies of human rights groups and lawyers associations in support of the courts”. (ii) Then there is the conduct of the court itself that triggered the backlash. On this, Alter, Gathii and Helfer say very little, other than to note that the trigger judgments (Campbell, Nyong’o, Mannah) were ‘controversial’. Needless to say, they were. But perhaps there are different layers of controversy. Some judgments are controversial, but clearly covered by the court’s mandate; others are blatantly ultra vires – and perhaps one could have distinguished between the three trigger judgments from that perspective. I do not mean to suggest that an empirical study should engage in detail with the normative question of whether a particular decision – or a particular exercise of jurisdiction – was correct as a matter of law. But still, I was surprised to read so very little about it in the article. To put my intuition in the form of questions: Could some backlashes be more justified, understandable, or acceptable than others? Or, is the degree of controversy to which a decision has given rise, not a relevant factor as we study the successes and failures of backlashes? I may be naive and all too normative here; but I was surprised to see that particular argumentative path not being explored. A final point: it is interesting to compare factors and pressure groups supporting backlashes against binding dispute resolution. While Alter, Gathii and Helfer focus on three permanent courts, the backlash that dominates debates in my academic circles is directed against ad hoc arbitral tribunals, namely those dealing with investment disputes. Concerns about intrusive and/or systemically biased arbitral decisions are voiced in many regions and countries, but perhaps nowhere more emphatically than in Europe (where ISDS, TTIP and CETA have become ‘toxic acronyms’). In some ways, “credible backlash threats” (to use Alter’s, Gathii’s and Helfer’s term) against ISDS bear some resemblance to the article’s three case studies: controversial decisions prompt resistance; judges/arbitrators state they were merely applying the law; appointment processes become relevant to court-curbing; institutional actors (UNCTAD, ICSID, etc.) are involved in reform debates. And yet, there is a key difference, and it concerns the role of civil society. While Alter, Gathii and Helfer analyse “Civil Society Mobilization to Oppose International Court Backlash”, in the investment debate, civil society is a driving force supporting the backlash. 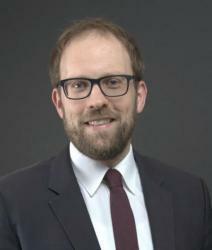 Millions of European citizens have signed petitions against new investment agreements including ISDS; professional associations such as the German Magistrates Association question the legal basis for it; in fact resistance to ISDS seems to contribute to the establishment of EU-wide civil society. The current anti-ISDS movement in Europe is very different from the three backlashes studied by Alter, Gathii and Helfer; I am referring to it to make the fairly simple point that ‘court backlash’ is a relatively common phenomenon. I would be curious to hear the authors’ view on whether anything can be learned from their study about the current ISDS debates, and about the role of civil society in debates about international courts and tribunals.